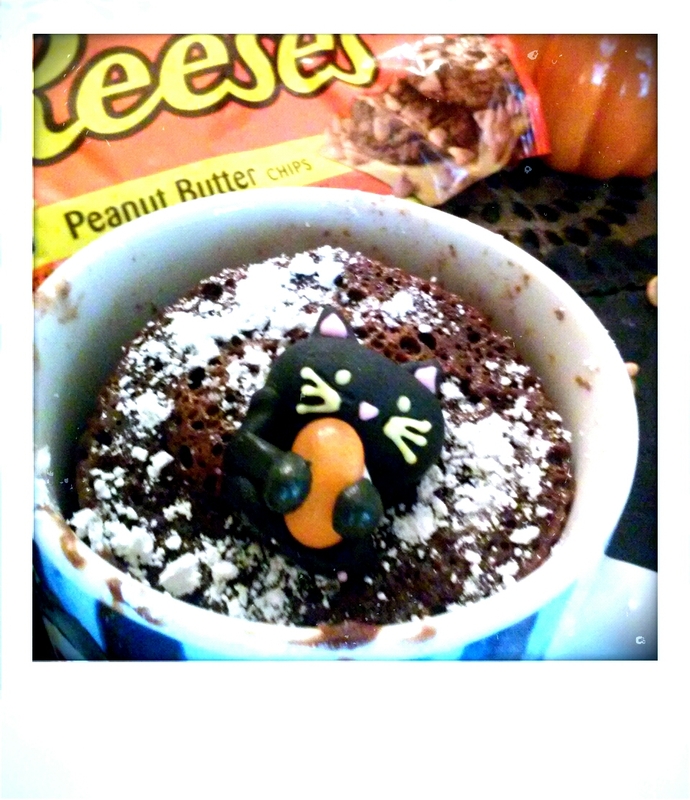 Pumpkin Patch & Chocolate Cat Mug Cake – Appetite Deluxe! 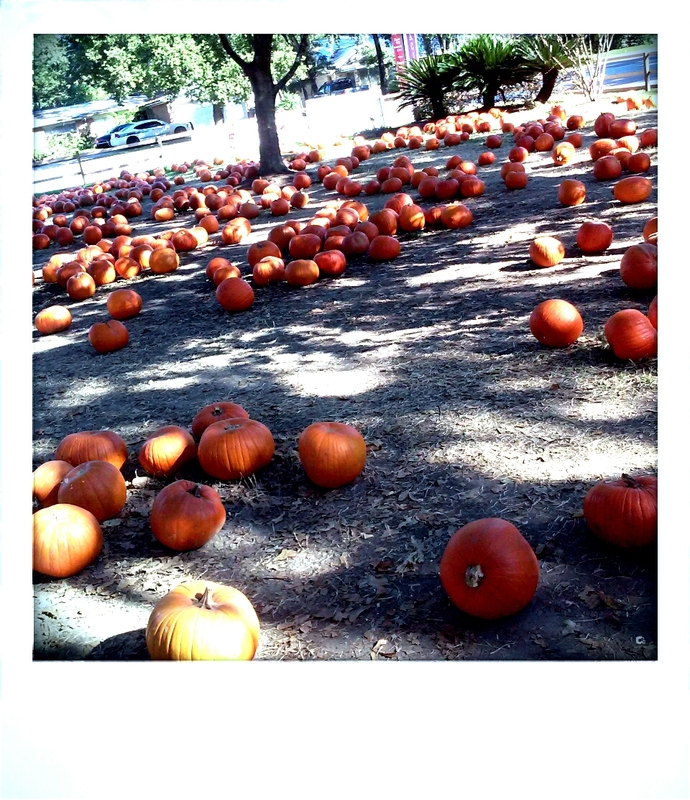 Today was a good day because it was my son and I’s first time at a pumpkin patch! 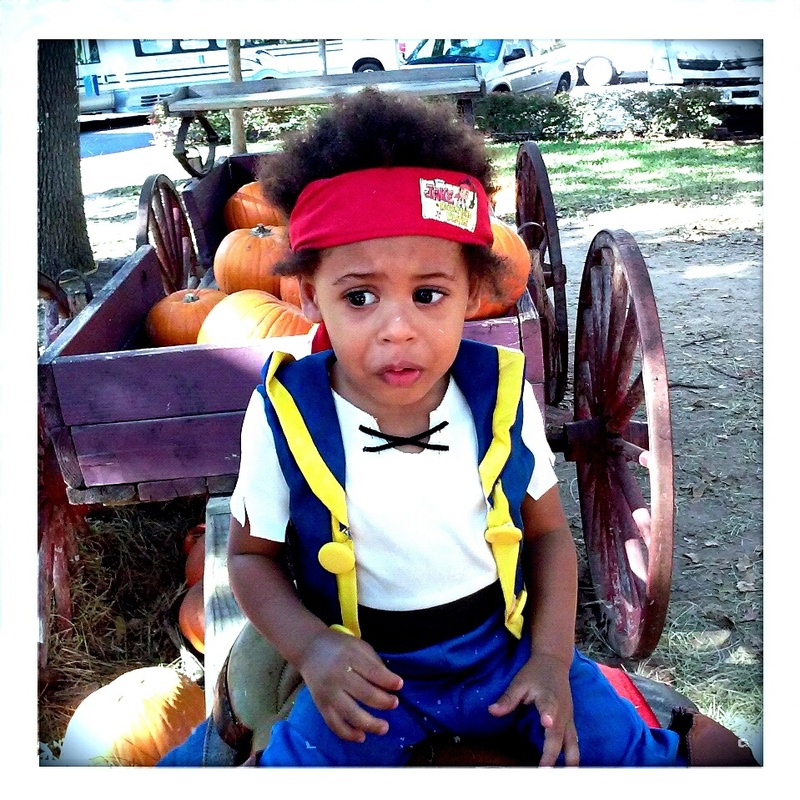 This year we decide he had to be Jake from Jake and the Neverland Pirates, so we threw on his costume and packed the family in the car and headed off to the local church for a pumpkin patch adventure. 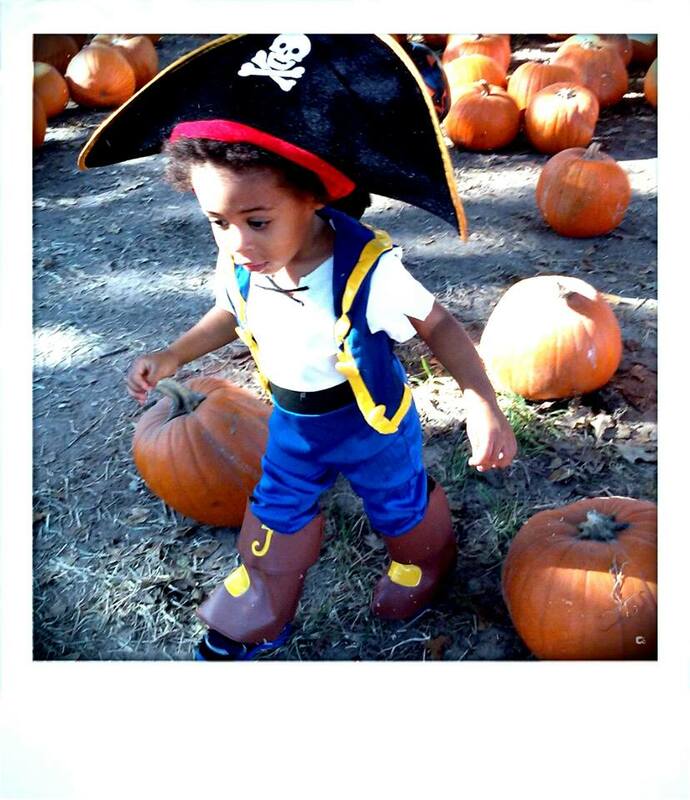 My family and I had a fun time running around and taking pictures and were pretty tired after the trip. So when we got home I decided I wanted something sweet but didn’t feel like taking the time to bake. 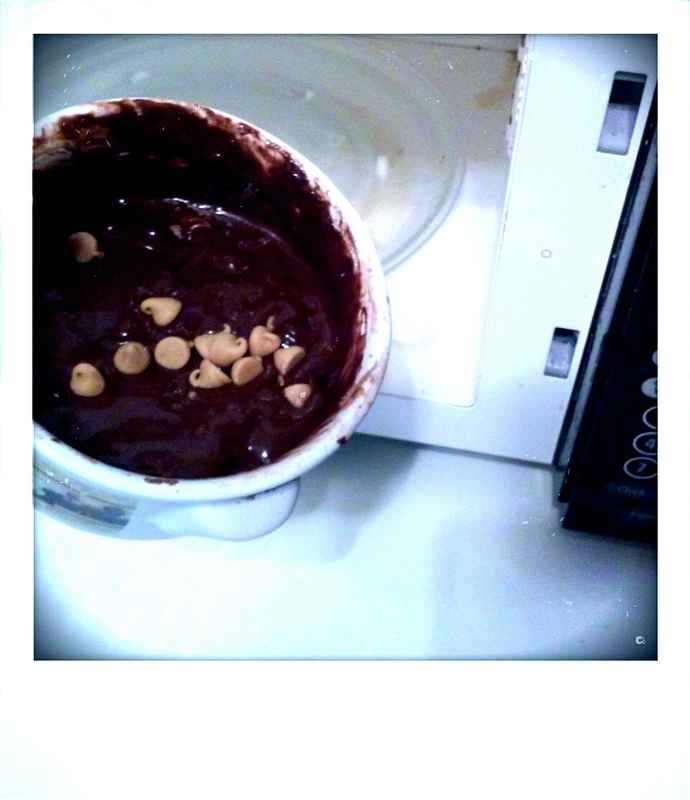 So I figured why not make a quick chocolate mug cake that can be done in the microwave in 2-3 minutes. Stir together the egg, milk and oil in your mug. Add the dry ingredients and mix well. Stir in the chocolate chips and vanilla. Microwave for 2 minutes. The cake will rise above the mug. Cool in the mug and then enjoy straight from the mug. I decided to use Reese’s Peanut Butter Chips in the batter. It took about 2 minutes and 30 seconds for my cake to rise and bake. I topped it off with a little powered sugar and my edible Halloween cat and soon my son and I were enjoying a yummy Halloween treat! Pingback: Reese’s Peanut Butter Cinnamon Pancakes | Appetite Deluxe!